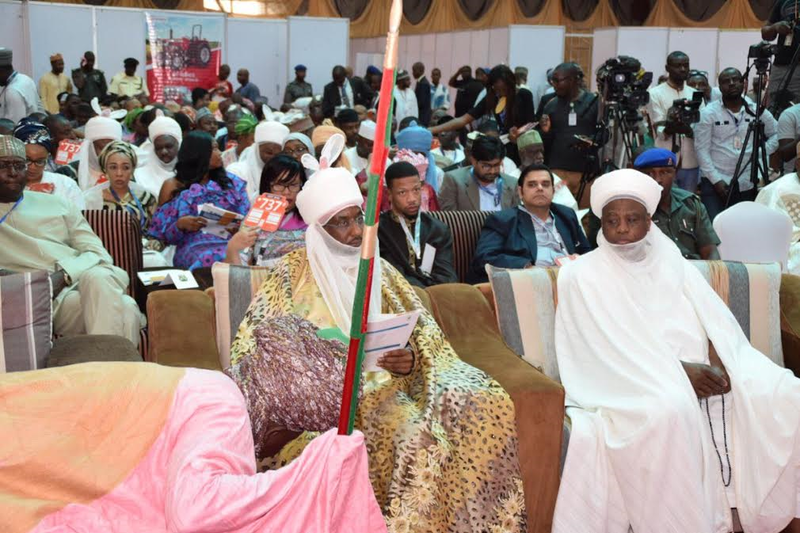 While delivering his powerful keynote address at the Kaduna Business summit yesterday, Emir of Kano and former CBN governor, Muhammad Sanusi II, decried the treatment meted out to women whenever they are being divorced in Nigeria. Sanusi who centered his speech majorly on the sociocultural behavior of Northern Nigerians, said women and children are meant to be catered for and not beaten up by men. He stressed that Malaysia which is a Muslim country, respects the rights of women so much that a policy was enacted where women who are divorced are entitled to 50% of the wealth their husband's accumulate while they were married. "We need to understand the roots of the problem of northern Nigeria. Burning books, it happened in Kano. What is the crime of those books? They were writing about love and love apparently is supposed to be a bad word. In a society where you don’t love your women and you don’t love your children, you allow them to beg, you beat up your women, why should anyone talk about love? We have adopted an interpretation of our culture and our religion that is rooted in the 13th century mindset that refuses to recognise that the rest of the Muslim world has moved on. Today in Malaysia, you wake up and divorce your wife; that is fine. But you give her 50 per cent of all the wealth you acquired since you married her. It is a Muslim country. In Nigeria, you wake up after 20 years of marriage, you say to your wife, ‘I divorce you’, and that’s it. Other Muslim nations have pushed forward girl-child education. They’ve pushed forward science and technology. They have pushed forward the arts. We have this myth in northern Nigeria, where we try to create an Islamic society that never existed. We are fighting culture, we are fighting civilisation.